Following the acquisitions of Kelkay, La Hacienda and Anchor Fast, AMES UK has streamlined operations and created a new sales structure designed to support the planned growth strategy for the business. The acquisitions have resulted in “an overlapping network of sales representatives” said AMES UK group sales director Richard Pyrah, adding that a single unified sales team dedicated to garden centres had been created in order to streamline the organisation and ensure efficient and effective communications. 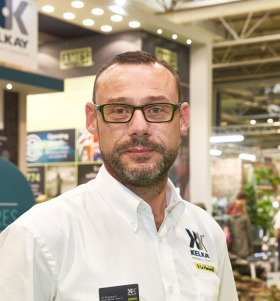 The 22-strong team will represent all the brands – Kelkay, including Easy Fountain and Borderstone, as well as La Hacienda and Woodshaw – providing a single point of contact for all garden centres. He also announced the promotion of Al Sheppard to the role of sales director with responsibility for developing the garden centre channel for all the AMES UK businesses and the recent appointment of Scott McCabe who has also joined the garden centre team.